Preparation are underway for the printing of the Annual JLC Jewish Calendar. Practically every Jewish home uses a calendar. Many banks, supermarkets and organizations compete for the yearlong exposure to the Jewish community. The nicest and most practical calendar is what ends up on the wall in thousands of Jewish homes. We have therefore developed a very attractive calendar for the local Jewish community, which surpasses not only the quality standard give-away calendars but also the Jewish art calendars sold in stores. The Annual JLC Jewish Photo Calendar will be available for free at local stores and distributed to 4000+ homes and stores in the Miami Beach Area. 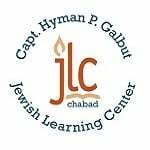 We hope that the Jewish Learning Center Calendar will feature the names of all our JLC family, as well as friends of our community! This calendar is not only useful, it helps promote a strong feeling of community and is also an important fundraiser for the JLC. This is a wonderful opportunity to acknowledge a loved one's birthday, anniversary or yahrzeit. At a low cost, these events will appear on the appropriate date on the calendar. In order for this project to be a successful and profitable one, we need your help. Please submit your own personal ads or a business ad with the form provided or online. All ads must be sent in with payment. You can also go online to www.jlconline.org/jlccalendar to participate. 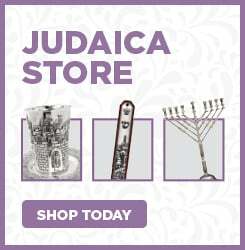 All proceeds go directly to support The Jewish Learning Center's outreach and educational programs.